In fact, although much existing information about Golden Eagles has little supporting evidence it is still largely accepted without question. This book addresses this important issue and in doing so the author queries numerous long-held beliefs about Golden Eagles. He suggests that failure to recognise the limitations of the available evidence is not only detrimental to understanding eagle ecology but that it can undermine conservation efforts. The Fieldworker’s Guide questions the reliability of existing knowledge and promotes a better understanding of the species through improved fieldwork. 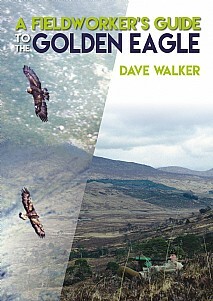 The book objectively reviews all aspects of Golden Eagle ecology, taking examples from many different locations and from site-specific studies in Scotland to compare and contrast the reliability and relevance of the evidence, highlighting the differences between casual and intensive fieldwork. It reviews all the elements of Golden Eagle ecology, from the species status, through the activities and roles of eagles of different gender, age and status, via territories, food and breeding, to habitat preferences, usage and even the influence of weather and observer activity on behaviour and observations. It also gives due consideration to the failed and non-breeding elements of the population, topics that are widely ignored despite such eagles forming the bulk of the population for most of the year. This will be of particular appeal to everyone with an interest in raptors, particularly the Golden Eagle, also birdwatchers and anyone with an interest in and appreciation of wildlife, the natural world and conservation.